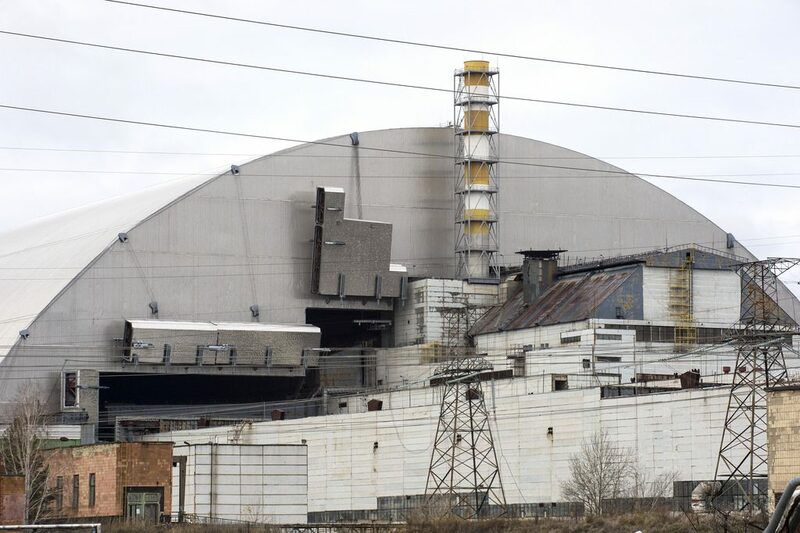 Chernobyl’s covered: who will now take on its maintenance and prevent an ecological disaster? Balthasar Lindauer is deputy director “Chernobyl Shelter Fund” at the European Bank for Reconstruction and Development (EBRD). He is responsible for the “Chernobyl Shelter Fund”. 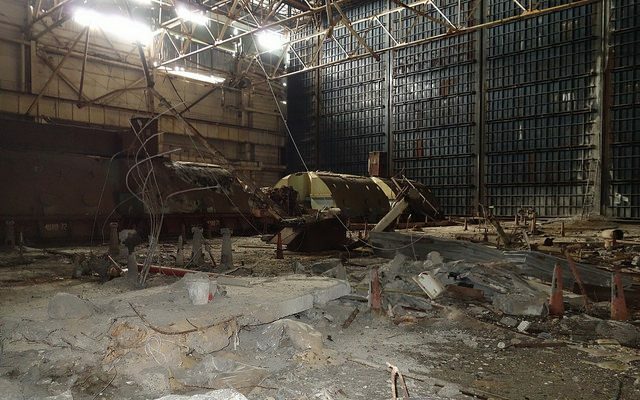 Joerg Drescher spoke with him for the Ukraine Crisis Media Centre about the finishing the “New Safe Containment”. Mr. Lindauer, would you please introduce yourself and your role in the Chernobyl project. 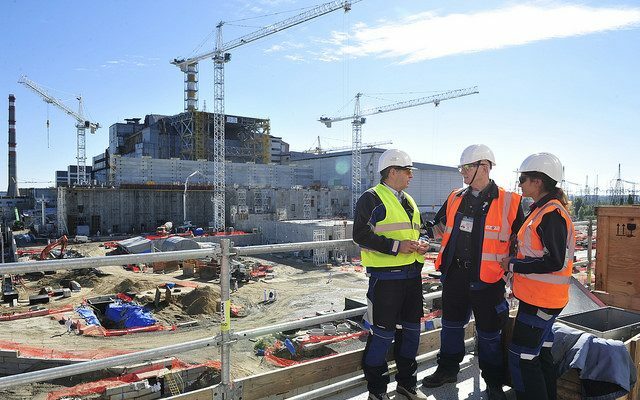 I work for the “Nuclear Safety Department” of the European Bank for Reconstruction and Development (EBRD) which was entrusted for managing the fund that finances the so-called “Shelter Implementation Plan” for the construction of the “New Safe Confinement” in Chernobyl. Now to the funding: who was financing the “New Safe Containment” (NSC)? Who was involved in the planning of the construction? The funding of this project is an international effort of 45 donor countries and organizations. It was initiated by the G7-countries who are also the largest contributors. A large additional share is paid by the European Bank for Reconstruction and Development itself. 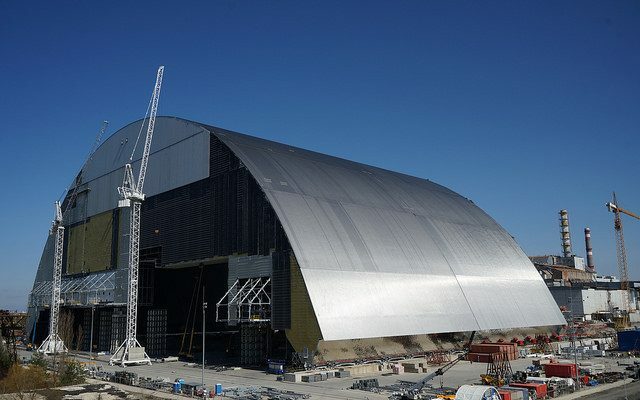 The total cost of the “New Safe Confinement” equal USD 2 billion, of which USD 500 million are provided by the EBRD. The rest comes from donor countries. Yes, Russia is involved with a large contribution. And what people were involved in the planning? Well, this has been a very long project. It is a very unique challenge and it had to go through several steps to determine the best technical solution. So the initial planning was done by a group of Ukrainian and international experts who developed the so called “Shelter Implementation Plan”. This was a very rough guide how to approach this problem. 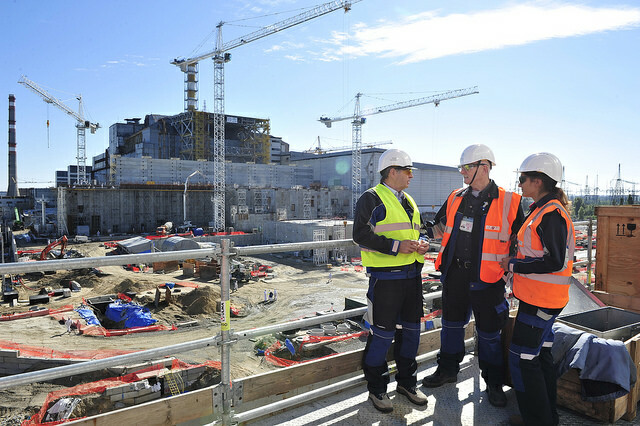 Then we had a project management unit in place which consists of international experts and staff of the Chernobyl Nuclear Power Plant. They developed an approach which was the basis of the tender. 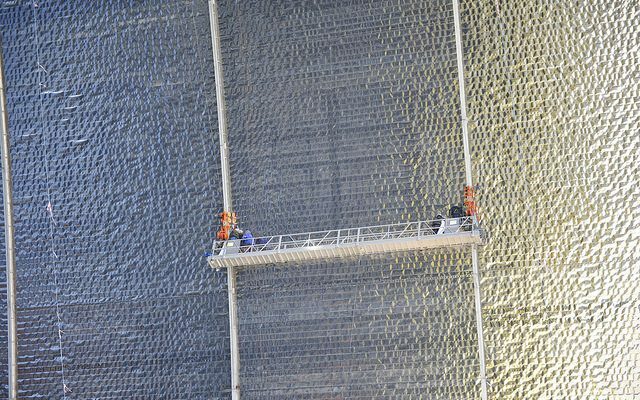 The technical job was awarded to the “Novarka consortium” formed by the French companies “Bouygues” and “Vinci”. They developed a detailed design which now has been implemented. Are you aware of the doubts of Mr Kostenko, the former minister of ecology and nuclear safety of Ukraine in 1992 to 1998? He gave an interview in April this year stating that this NSC seemed to be a construction to just hide the problem. He also expressed his opinion that this NSC will not survive the expected 100 years because nobody really knows which impact radiation will have on the construction. The first sarcophagus had the same fate. Do you share these doubts on behalf of the construction? The former minister is a very distinguished person. He has contributed greatly to putting this project in place. However, I do not agree with his assessment. 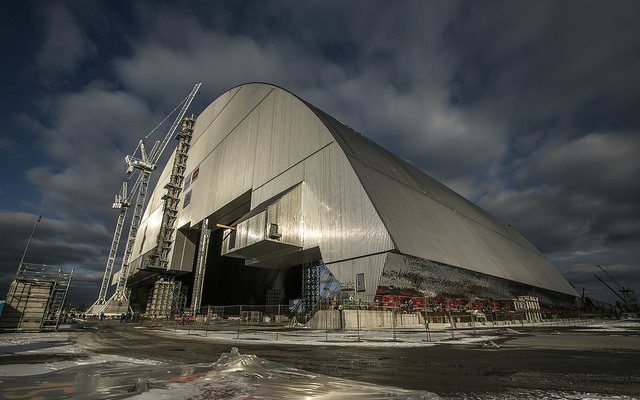 The “New Safe Confinement” is not a shell to simply cover the old reactor. 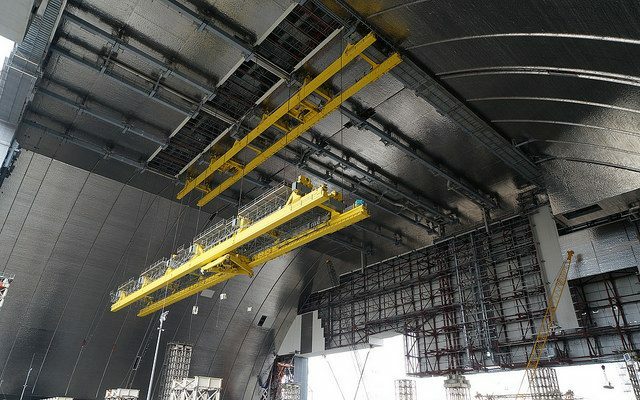 The whole point of this facility is that it will be equipped with systems being able to do the deconstruction works and ultimately to retrieve the radioactive inventory of the site. So it is an active facility and not a passive shell. The design takes into account all kind of impacts during its lifetime. And a lot of effort has been spent in measures ensuring that the NSC can withstand 100 years easily or probably even a longer period. So, things like corrosion and of cause radiation exposure have been taken into account. What about further activities? Do they already have funding? The current mandate of the “Chernobyl Shelter Fund” managed by the EBRD is to complete the facility and to hand it over to Ukraine. And then it is the task of Ukraine to decide when and how to make best use of it. We do already have a study for the deconstruction of the old sarcophagus. But it is the task of Ukraine to implement this plan very quickly after the NSC has been handed over. The whole purpose of the long lifetime for this facility is that Ukraine will have the luxury to plan and prepare the next steps very carefully. So there is sufficient time to develop technologies and approaches to deal with further tasks. Ukraine was and is still considered to be a very corrupt country. Have you personally faced corruption? Did corruption play a role during the building the NSC? And if yes, how much money do you believe was lost in “dark channels” due to the construction? We are fully aware that corruption is a risk in this country and in many other countries as well. The EBRD has been implementing many projects in Eastern Europe and countries of the former Soviet Union, and we are very confident that we have a very robust system of controls. Our business model aims to minimise the risk of corruption. So I am very confident that the international funds that we have managed have not been used for any other purposes. Almost three years ago there was a revolution in Ukraine. Did this fact have any influence on the construction? And was there a change after the revolution? For example: what role played the devaluation of the currency for this project. Luckily the difficulties in the country did not have any direct impact on the project. The project could be continued unimpeded. But it is true that the financial and economic difficulties of this country had a certain impact. Ukraine is an important contributor to this project that provided all kinds of services. We understand that this is a huge burden for Ukraine and it is very difficult for them to deliver what they have promised. But we also acknowledge that this is a huge priority for Ukraine and they did their job remarkably well. The revolution was named “Revolution of Dignity”. Some people believe, it would have been more decent to spend money first of all on the so-called “liquidators” who helped immediately after the disaster and who then built the NSC. Could you comment on the social programs for these “liquidators” and other victims of the disaster? There are of course competing needs and it is always difficult to make decisions on what should be the top priority. We as the managers of this fund were assigned to carry out this particular task. Of course, other tasks are also very important, but we are not involved in them. Some of our donor countries, in particular the European Union and also the United States, had different bilateral projects to tackle other consequences of the accident. Who assigned you with this task? Ukraine? Initially the G7 and Ukraine have developed an approach how to tackle this and they have jointly decided that the EBRD would be a suitable organization to implement this. So it was initially indeed Ukraine with its representative Mr Kostenko. And the G7 approached us to set up this fund. There is an on-going war here in Ukraine. 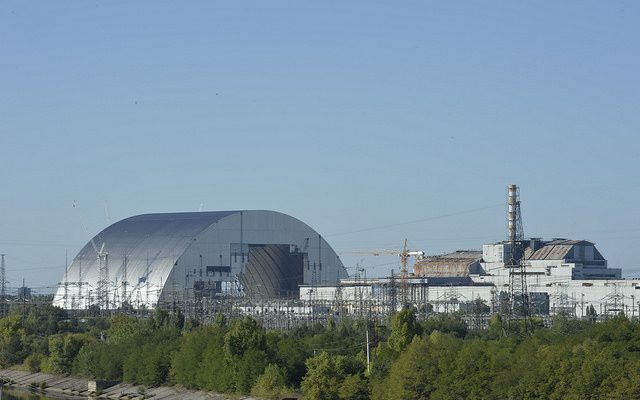 Does this war have any influence on the Chernobyl project? What about the risk of stealing radioactive materials from the site to build a so called “dirty bomb”? Well, I spoke about the impact. The project has not been impacted directly neither by the developments in the country, nor by the conflict in the East. It had contributed to the economic situation in Ukraine which does certainly create a difficult situation for Ukraine. We are not in charge of the site as a whole. That is something Ukrainian authorities do. They are in charge of the safety and security. We do, however, insist that wherever we get involved highest international standards on safety and security are applied. This goes also for physical protection of the site and materials. That is all I can say.